It can play almost all formats including MKV, DivX, Xvid, Flash, QuickTime, DVD, MP3, FLAC files. There is a new function allow your kids to hear subtitles and this technology provided by Ivona. 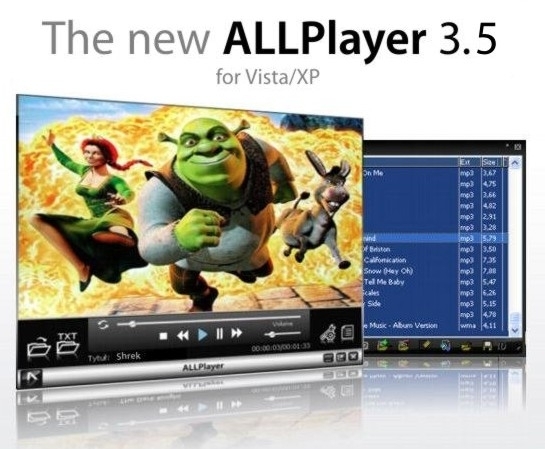 ALLPlayer has built in special connectors to the Opensubtitle.org servers that enable you to watch movie with subtitle in the instant mode. Available for Windows Vista and XP.